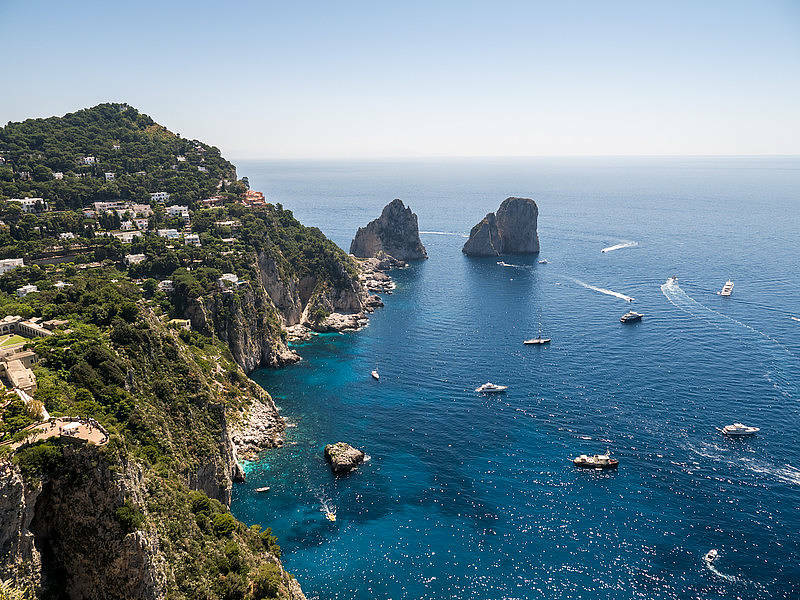 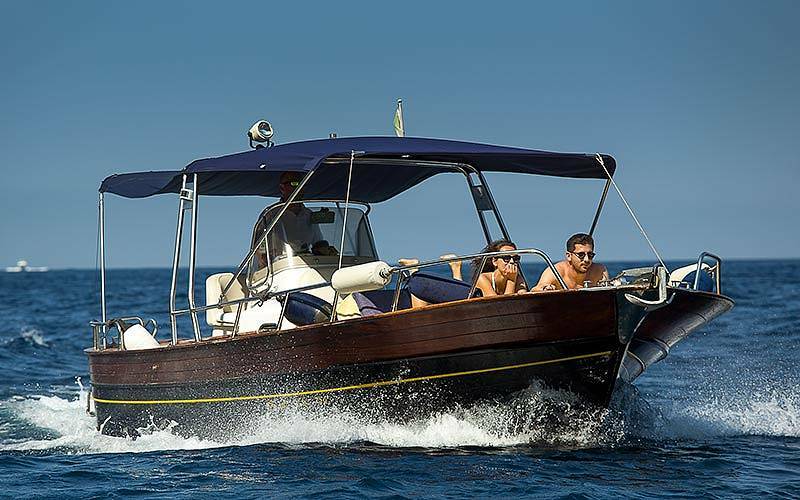 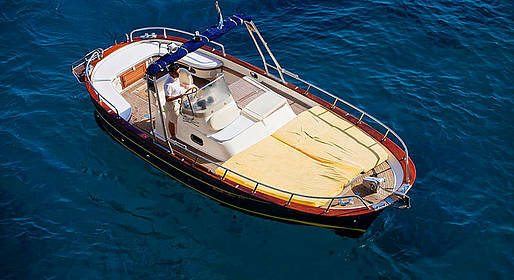 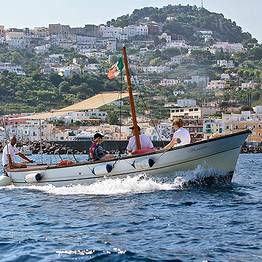 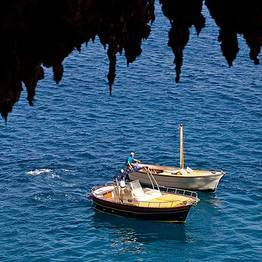 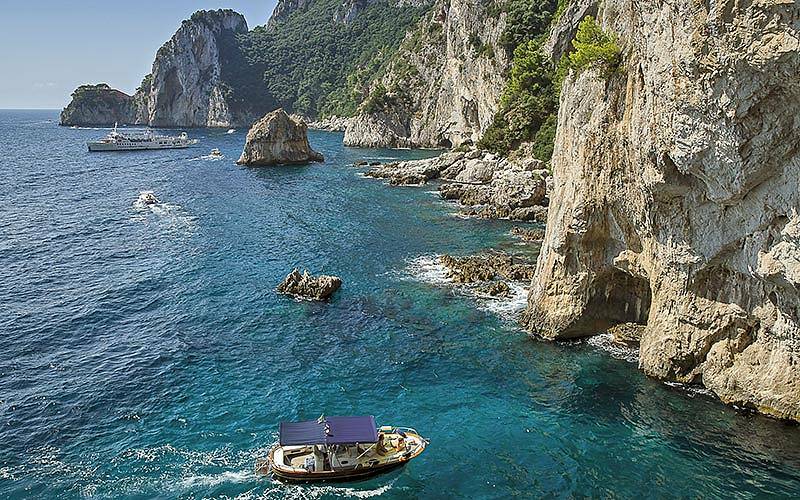 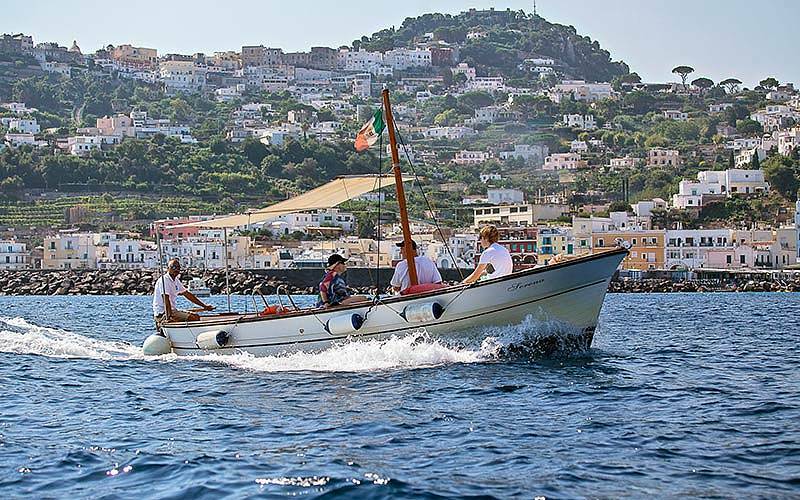 A sail around the coastline of Capri on board a traditional gozzo boat is the best way to see the beauty of Capri - including the Faraglioni, Marina Piccola, the lighthouse, the Blue Grotto (upon request) - and even stop for a swim in the sea off the coast. 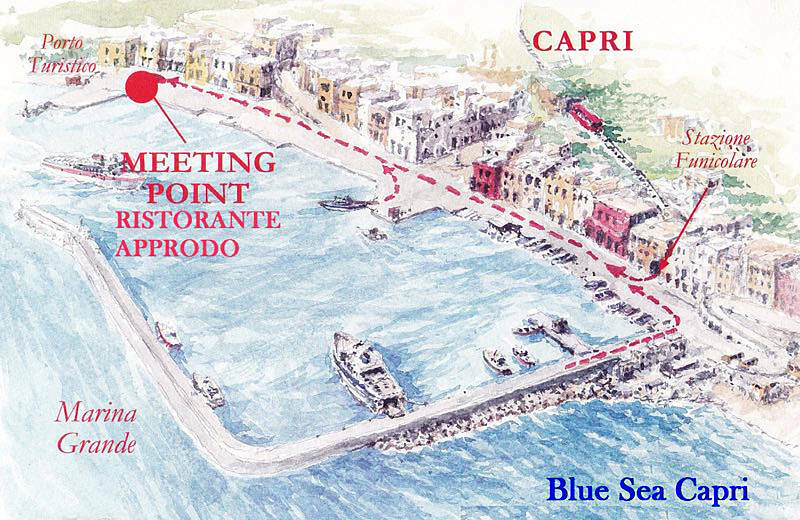 The meeting point is in Marina Grand (Capri's port), near the Ristorante l'Approdo just before the marina at the Molo Pennello pier. 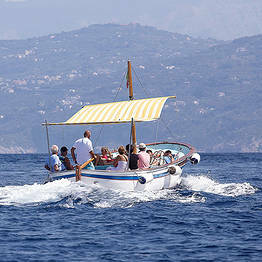 Vouchers are accepted in paper or electronic form via a smartphone. 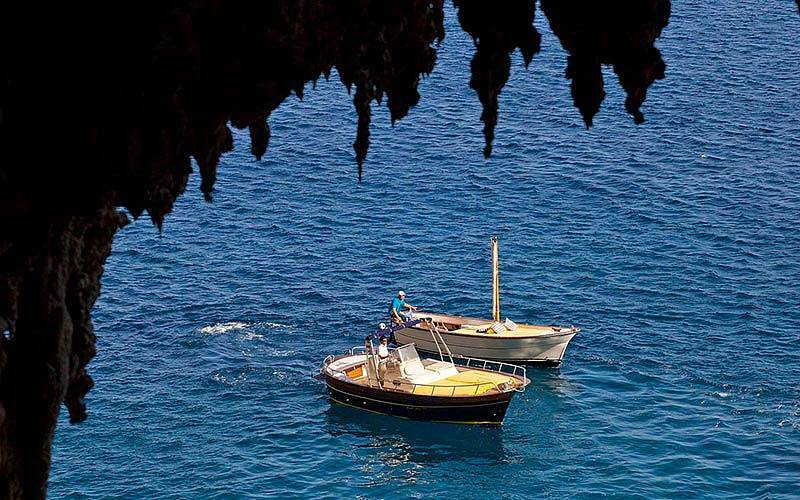 Blue Grotto visits are optional; if the wait is long, we can stop for a swim in the Green Grotto. 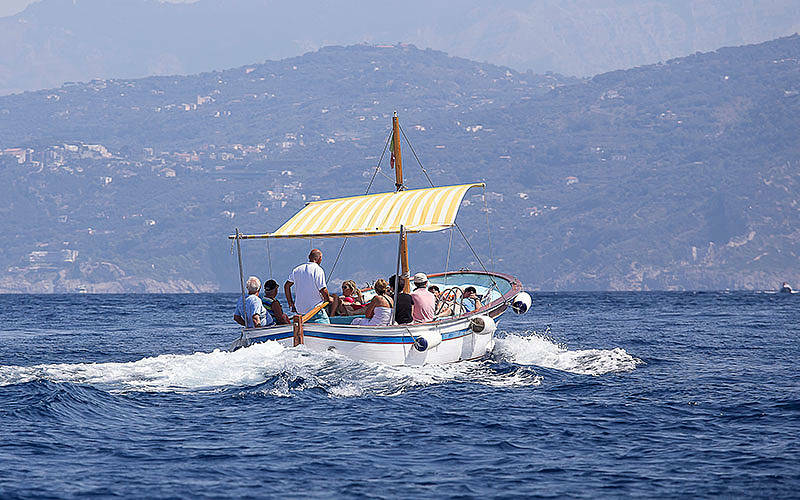 We can arrange to have caprese sandwiches (mozzarella, tomato, and basilico) a picnic, wine, or prosecco on board. 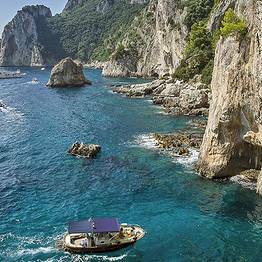 Your credit card information is only used to guarantee your booking, and you will not be charged. 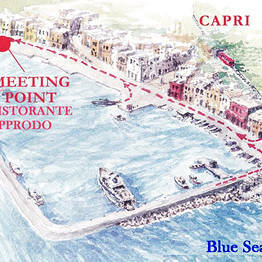 Payment in cash or by credit card can be made directly to the skipper in Capri. 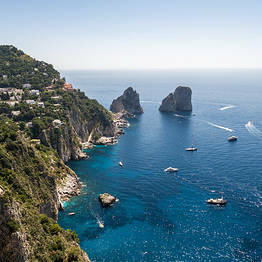 Sunset Cocktail Sail around Capri!